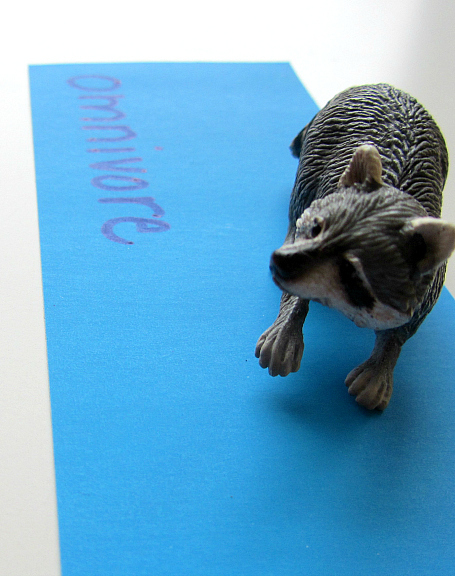 Science For Kids : Omnivore, Herbivore, or Carnivore ? My first grader is naturally inclined to math and history and if it was up to him I would only ever create games with numbers or facts about past wars. I am happy to have him learn about those things but as his mom I need to stretch him to learn about other things as well. 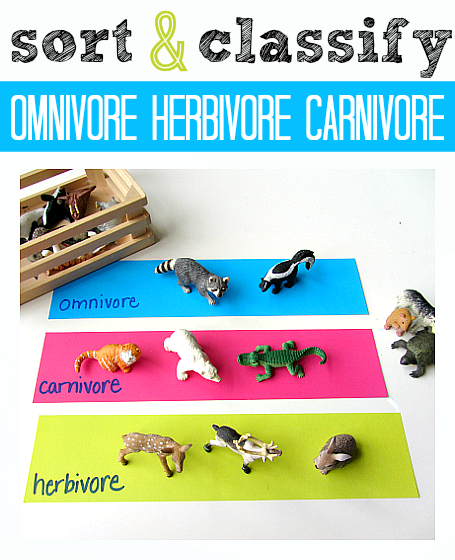 This is an science for kids game that asks players to classify each animal into omnivore, herbivore or carnivore. 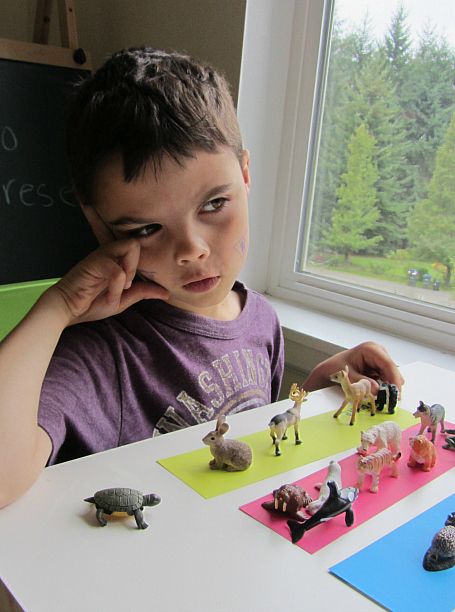 The hands on aspect of the game is great of young learners and can encourage later imaginative play as well. 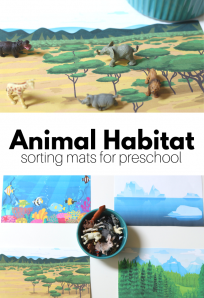 I like to keep activities like this short since my son attends school full time and my goal is to use these bite sized activities to spark interest and further investigation. 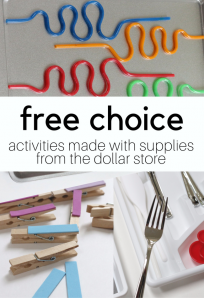 For more check out our other Learning After School activities. Gather your materials. 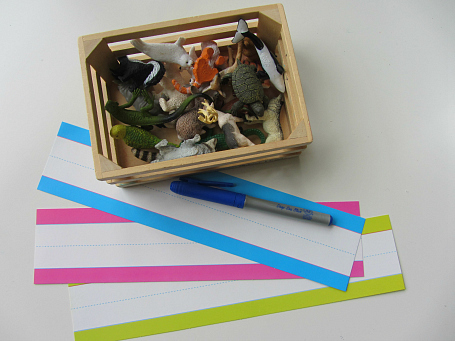 You will need some card stock ( I use the back of sentence strips), marker, and a mix of animal figurines. 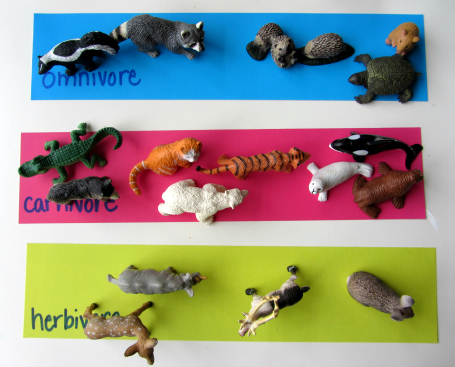 I like these Safari Ltd North American Wildlife Toob from amazon ( that’s an affiliate link ). 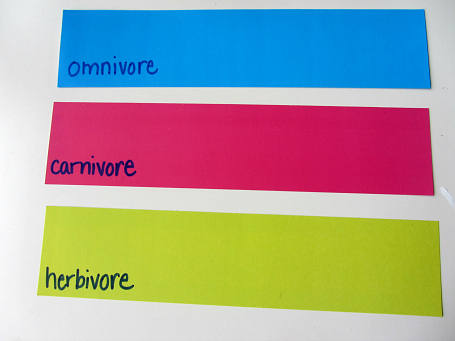 Write the groups on the strips. 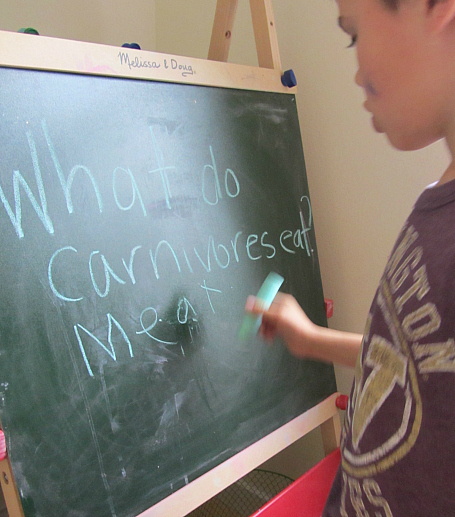 When I invited my son to come do the activity I first had him answer a question on the chalkboard. This isn’t a must do but I will explain why I do it with my son. He loves to know the answer so by starting the activity with a question he can answer it starts him off on a strong confident foot. 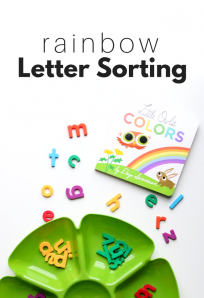 Then I challenge him with the sorting. Some were not . After he made his final decision he asked ” Can you Google it to see if we are right?” I loved that he wasn’t looking to get the answer but to check if he was right. This also let me slip in a quick lesson about using reliable online sources. He won’t be searching online without me for a while yet but it’s still a good lesson to start cementing. Sort each and every one. 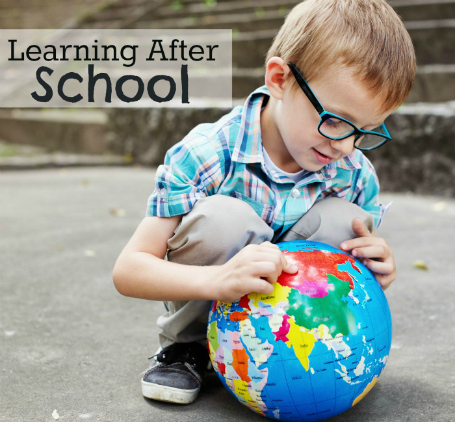 For more quick but meaningful learning for after school or any time check out our Learning After School series. I just wanted to pop into say I laughed out loud at “games about math and facts about past wars.” For some reason the “past wars” part just makes me giggle. My older son is somewhat the same way, he wants everything to be a quiz about math and random, but very detailed facts. 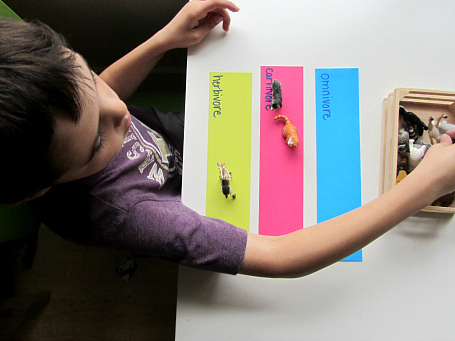 He would love a classifying game like this because he likes to categorize EVERYTHING.